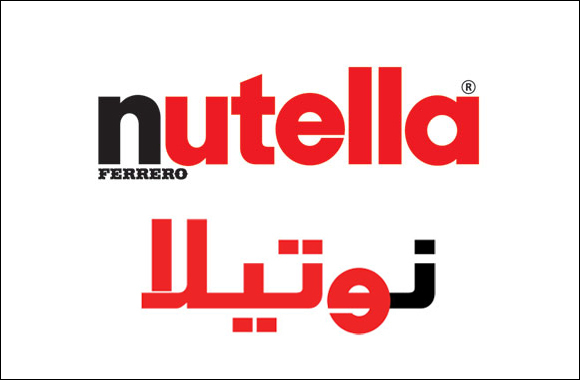 UAE, Dubai; 1st April 2015 - Nutella® is a brand of love, and certainly know the way to its fans hearts. After 51 years of continuous support, the world’s favourite hazelnut spread felt it was time to give back to the sweetest fans a brand could ask for, changing its name for a limited time only. Nutella®’s new name? Yours. A special way of expressing one’s self, Nutella® lovers had the opportunity to personalise their favourite family spread with their very own name. With personalised stickers and jars available from selected stores including Geant, Lulu, Danube and Carrefour chains, over 235,000 Nutella® fans re-branded their jars during the Nutella®’s new name campaign period. The stickers, which feature the standard initial black letter in every name, followed by red letters, can be placed directly over the current 400g jar stickers to easily rename the jar as your very own. The campaign, which noted Mohammed as being the most popular name printed regionally, saw 94.45% of Nutella® jars sold in participating stores during the January period to include a personalised Nutella®. In the UAE alone, 10,696, or 90.64% of personalised Nutella® jars were purchased purely through the in-store activations. Originally launched with huge success across European markets, the Middle East campaign stretched across Kuwait, Lebanon, Saudi Arabia and the UAE. Whilst the in-store activations have come to an end, the Nutella® New Name Campaign continues its success through the Middle East via the Facebook app. For more information please contact Rebecca Jackson on the email address below.